Image credit & copyright: NASA/ESA Hubble Space Telescope and the Hubble Heritage Team. At first glance you may think of this image as a digital rendering or perhaps a rip in spacetime; light from another universe flooding into the fold, alerting the rest of this universe to its presence. The reality isn’t quite that dramatic but awe inspiring nonetheless as this galaxy, NGC 5866 is being viewed edge-on from our vantage point in the Milky Way. 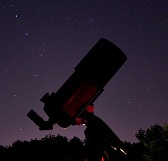 As we look back in time 45 million light years ago we can see some interesting things about this star city. First, the incredible clarity in those dust lanes delivered to us via the Hubble Space Telescope, spans a large portion of the 60,000 light year diameter plane. The nucleus, like that of our own Milky Way, glows brightly from behind the shroud that the material created by those dust lanes. In addition, we also see the telltale sight of younger blue stars along the plane indicating that star formation is alive and well while the nucleus is filled will yellow ancient stars. 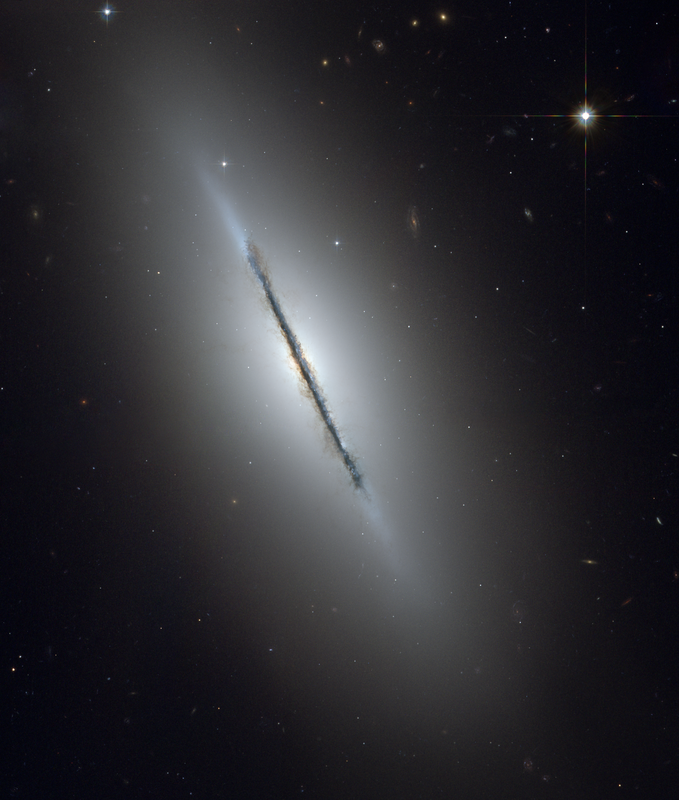 Name: NGC 5866, M102, Messier 102 or the Spindle Galaxy. What is it? : Spiral galaxy viewed almost perfectly edge-on. How far away is it? : About 45 million light years. How big is it? : Roughly 60,000 light years in diameter. Apparent magnitude: A modest 10 or +10. Where is it? (General): Constellation Draco (The Dragon) and the prominent member of the NGC 5866 group of galaxies. Where is it? (Exact RA/Dec J2000): R.A. 15h 06m 29s.48 / Dec. +55° 45′ 47″.2. Image | This entry was posted in Astronomy (Learning), Astrophotography (DSOs), Galaxies, Images and tagged Astronomy, Astrophotography, DanSpace77, ESA, Galaxy, Hubble Space Telescope, M 102, M102, Messier 102, NASA, NGC 5866, Science, Space, Spindle Galaxy. Bookmark the permalink.